This book paints a picture of a new form of warfare from the view of someone who was there. A story of excitement and discovery that ended as a tragedy. DESCRIPTION: Ernst Udet was one of those rare pilots who achieved considerable success, but survived the Great War. His memoirs make compulsive reading. Udet recounts his experiences in a jaunty style that is easy to follow. It is remarkably similar in style to the memoirs of many other pilots from the combatant nations. For most of these young men, war was exciting and they believed in the rightness of their respective causes. War has appealed to young men, even when the reality differs from their expectations, but the Great War was a time of great advances in the technology of war and pilots had the added excitement of flying at a time when the rules were still to be written by the survivors. In some ways, a young death in battle is kinder than survival. Udet, along with his contemporaries from all nations, found some difficulty in adjusting to life after war. Had he died, as did von Richthofen, at the point of his greatest combat achievement, he would be remembered even by enemies with fond reverence and respect. Along with Goering and Hess, Udet found life after combat flying a disappointment and he also keenly felt the defeat of Germany. He was to become a stunt flyer and took part in American films of the air war but like Goering and Hess he joined the Nazi Party and, like them, it was to end badly for him. 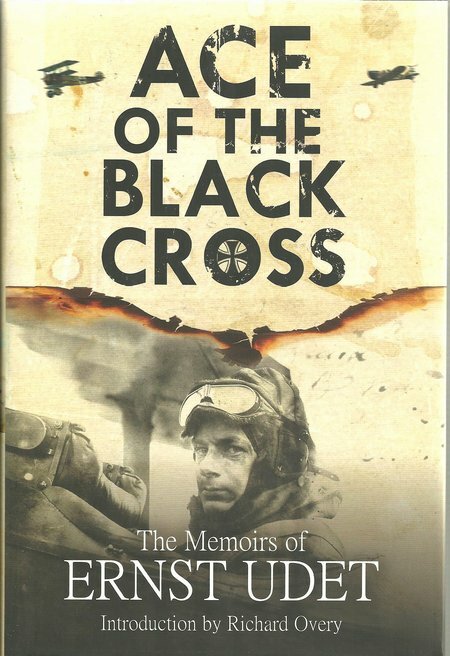 As one of the fraternity of German pilots of note who joined the Nazis, he rose rapidly. In his case, he became Director General for the Luftwaffe, a post for which he was ill-suited. The stresses of his post and his disappointments and fears combined to turn him to alcohol. Finally, in 1941, he took his own life.